Earlier this year, Shea Moisture introduced new products to their line, which sent the product junkies running to 300 Target stores across the United States. One of those products was the Coconut & Hibiscus Co-Wash Conditioning Cleanser. Product Claims: This detergent-free conditioning cleanser removes impurities without stripping hair of natural oils. Lightweight moisturizers soften and control frizz in one easy step. Leaves curls vibrantly bouncy. Ingredients: Deionized Water, Cocos Nucifera Oil (Coconut)*, Butyrospermum Parkii (Shea Butter), Mangifera Indica (Mango) Seed Butter*, Cetyl Esters, Kaolin Clay, Grapeseed Oil, Simmondsia chinensis seed (Jojoba) Oil, Behentrimonium Chloride (Conditioner), Hibiscus Sabdariffa Extract, Salix Alba (Willow) Bark Extract, Melia Azadirachta (Neem) Seed Oil, Sorbital Esters, Aloe Barbadensis Leaf Juice, Tocopherol (Vitamin E), African Black Soap Extract, Sea Salt, Rosemary Extract, Caprylyl Glycol. 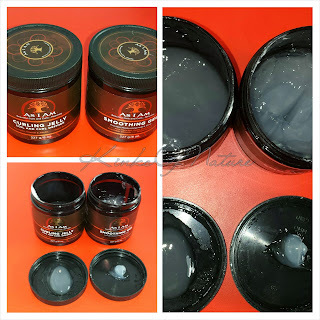 Thoughts: The cleansing agents in this product are kaolin clay and African black soap extract. The consistency is shown in the photo above. It's similar to a light lotion. This co-wash has the same coconut and hibiscus fragrance as the rest of the line, but with a slightly different somewhat creamier note to it. Overall, it's a really good cleanser, extremely moisturizing and smells lovely, but it doesn't have quite enough slip, which causes one to use even more product. This being an 8oz bottle, it isn't cost effective. One bottle is about 6 uses for me, and that's with using a minimal amount. I like it but likely won't purchase again unless there is a sale. If this had the slip of the Purification Masque, it'd be a winner, but sadly it doesn't. However, they don't claim that it will detangle, only soften and control frizz. It does soften the hair and help with smoothing. I couldn't use this solely and expect frizz "control" though. My only issue with the packaging is that I prefer a pump for in-shower products. For a price comparison, I get 20+ uses out of Curl Junkie Daily Fix Cleansing Conditioner, which is about $1.58 per ounce ($19 for 12oz). The Shea Moisture Co-Wash is 6 uses per bottle and costs $1.50 per ounce ($11.99 for 8oz). If this were more cost effective, it could potentially go on my staples list. Shea Moisture's customer service is top notch, IF you have and use Facebook. Their website is not fully functioning, but they are very active on Facebook. 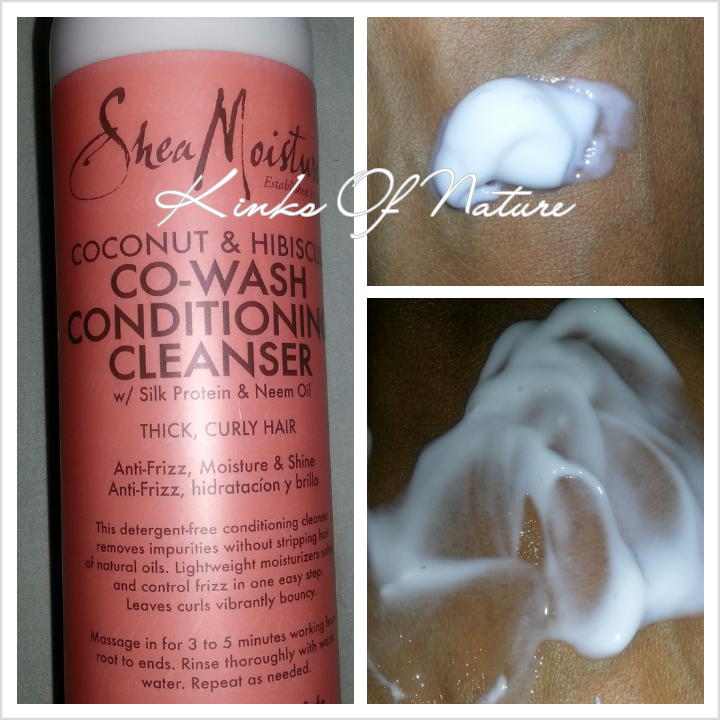 Shea Moisture Coconut & Hibiscus Co-Wash Conditioning Cleanser is sold in select Target stores and retails for $11.99. It is currently only available in the 8oz size.